Springtime in Holland, the best time to visit our beautiful country. Fields full of flowers as far as you can see, the field full with colors, the bright yellow of the daffodils, the purple of the hyacinths and the deep red tulips. And don’t forget the lovely fragrance of these flowers while photographing. It is my favorite time of the year for photographing flowers. The immense flower fields and the Keukenhof are just a 5 minutes drive for me. During springtime at least 2 days a week I am photographing in the flower area. 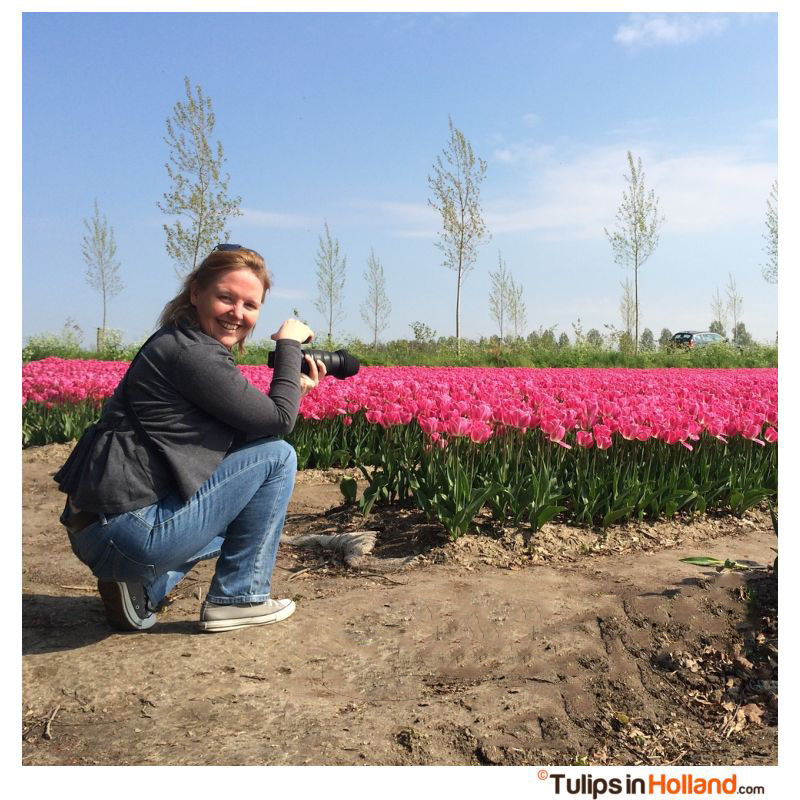 I am a business owner, project manager, photographer and last but not least someone who loves tulips very much. A couple of years ago because of one of my other business projects I was asked to about the influence of Social Media messages. Therefore I decided to combine my photographing, business and the tulips online with a website and a number of social media streams to measure the effect of Social Media. At this moment we have a still climbing reach over 2,3 million views every month (!) with the social media only. Please contact me when you like to promote your tulips, company or your flower-event at the Tulipinholland.com website or to give the Social Media activities of your own company a boost. In all cases, you can be sure the message will be viewed daily by hundreds of people.